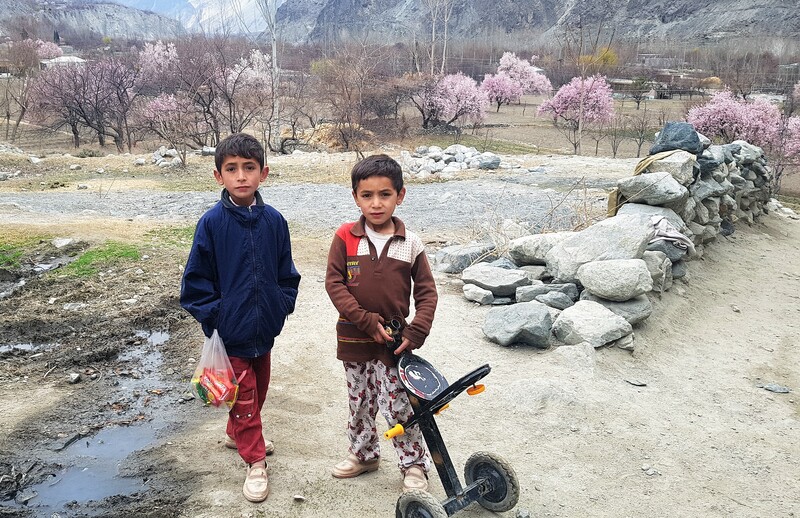 A randomized control trial evaluation shed light on how a micro health insurance innovation targeting poor households in Pakistan reduced child labor and hazardous work. For many, the term “childhood” generally evokes oblivious times spent between school benches and playgrounds, but many children experience another reality. Millions of school-aged youth around the world spend their day at work, often involved in hazardous activities that put them at risk and badly impact their health. Youth obliged to work for their own survival or to provide for their families rarely complete basic schooling and are thereby denied the opportunity to investing in a better life. Children face a particularly dire situation in Pakistan. Estimates by the International Labor Organization (2004) predicted 12.5 million Pakistani children aged 5 to 17 to be involved in child labor in 2012, which represents nearly 20 percent of the age category. A majority of these children work in agriculture, while others are employed in brick or glass bangles making, surgical instruments manufacturing, or carpet weaving. Child labor is a common consequence of economic shocks in many developing countries. As an overwhelming majority of people in Pakistan are not covered by health insurance, if a parent becomes sick, or passes away, it is common for one or several children of the family to drop out of school and start working to compensate for the loss of parental income and provide for their family. The National Rural Support Programme (NRSP), a Pakistani NGO, set out to address this issue through an extension of a health and accident insurance scheme. By enabling households to reduce health-related expenses, NRSP expected to improve their capacity to manage shocks, and hence reduce the need for households to resort to child labor to cover unforeseen expenses. In order to help NRSP assess the impact of their innovative insurance package, randomly selected control and intervention branches were compared in urban Hyderabad using data collected in household panel surveys. The evaluation showed that the intervention generated several positive social impacts. In addition to leading to a significant increase in coverage and usage of the health insurance, the extension innovation led to a decrease of child labor of 3.4 percentage points. Furthermore, the risk of hazardous occupations decreased by 4.6 percentage points. Monthly child labor earnings also dropped and the average number of hours worked by children was reduced by 1.8 hours per week. The program particularly benefitted boys, who were also generally more often engaged in child labor. After these encouraging results, NRSP decided to scale it up to 500 further villages, as a first step. The program has high policy relevance, as the national government is interested in expanding social health protection and plans to implement similar policies all over Pakistan. LANDMANN, FRÖLICH (2015): Can health-insurance help prevent child labor? An impact evaluation from Pakistan, Journal of Health Economics, 39 (2015), 51-59. Together with the Centro Integral de la Niñez y Adolescencia (CENIT) and ViaNiños e.V. in Germany, we support an innovative primary school for working youth in Quito, Ecuador. 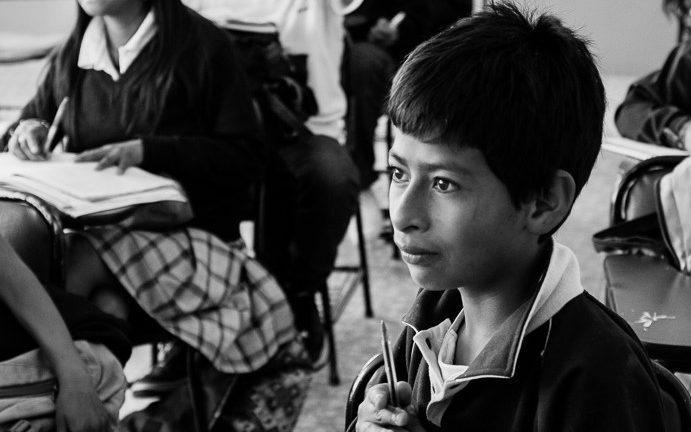 In Quito many children and youth are forced to work from an early age to support themselves and their families. While initial primary school enrollment has recently increased in Ecuador, it is especially difficult for working street children and youth to continue their education. Older children that did not attend, or only partly attended, primary school have almost no chance to return to the regular public school system. As the case in many countries, the education system offers little flexibility to children and youth who have not attended part of the curriculum. This poses a high risk of losing these children for the rest of the educational process and foregoing high returns to education for the individuals and society. In this project CENIT offers a specialized primary school “ESTAR” geared towards older youth who wish to retake their primary school education. Being the only school of its type in Quito, ESTAR offers these students a three-year version of the regular six-year primary school curriculum. This allows the adolescents to attend a regular high school upon completion and/or undergo vocational training. This is a step towards giving them the skills and knowledge to earn higher income and break the cycle of poverty. C4ED, together with ViaNiños e.V and the implementing partner CENIT, is dedicated to evaluating this project in a rigorous manner. In this first pilot project implemented in the South of Quito we will focus on ex-post evaluation using a mix of quantitative and qualitative methods.